This year, Puro Sabor’s long-standing tradition of bringing together the movers and shakers of the cigar industry got bigger and better. The sixth edition of the Nicaraguan Cigar festival included visiting iconic Nicaraguan destinations, comprehensive factory tours and of course, unlimited cigars. We surpassed last year’s numbers in terms of participants, days that the festival lasted and the number of hosts. Taking into account feedback given about Puro Sabor’s last edition, the organizers decided to extend the duration of the festival for one more day. This change allowed the over 300 participants from 27 countries to enjoy more of Nicaragua’s sites and gastronomy. The festival is hosted each year by the Nicaraguan Chamber of Tobacco. 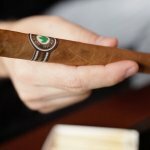 This year, the festival welcomed four more hosts: Tabacalera RC, El Galán Cigar S.A, Global Premium Cigars, and Distribuidora Karibe, S.A. bringing the total numbers of hosts to 27. Right after they landed at the Managua International Airport, participants were taken directly to the colonial city of Granada. The next day, and after some rest, participants enjoyed a tour through the 365 Granada Islets as well as the Mombacho volcano that overlooks them. In the afternoon, there was a choice for visiting the Mombacho Cigar Factory or to roam around the various sites in the city of Granada. At night they attended a party at La Pólvora Fortress, one of the oldest and best-preserved buildings in the city. 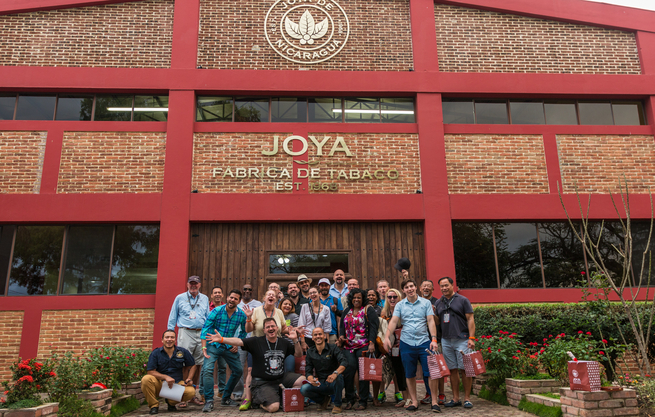 The next day, participants traveled from Granada to Estelí, Nicaragua’s capital of Tobacco. The first event on the calendar was the inauguration dinner of the festival held at our factory, the first and oldest in the country. What came next was two full day of factory and plantation visits accompanied by colorful parties during the evening. Last night’s folkloric party at #NicaCigarFest + the Joya Bros! Save the Date for Puro Sabor 2018! One thing we can assure you is the festival keeps getting better. Don’t miss your chance to experience Nicaragua and it’s cigars so stay tuned for next year’s dates.